Why pay RETAIL for the mediocre, when you can have the best for less! 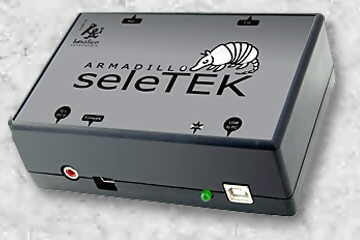 When you purchase your VSI TOAD (ALF3/ALF5, OMG3/OMG5, TL3/TL5) or motorized ZEROTATOR (ZBR2) equipped with Lunatic Astronomical (LA) stepper motor (standard), you will also need one of the following Seletek ASCOM multiple peripheral controller (pictured below) and one of the software packages listed below. TI's Robo-Focus stepper motor is optional (contact VSI). These items must be purchased separately from these sources. FocusAide Software (purchase separately from FA)......................FREE trial version (downloadable from FocusAide trial link). Note: Other supplier prices may vary from what is listed above. See individual links below for current pricing. Visit the following links to access the above hardware & software products. 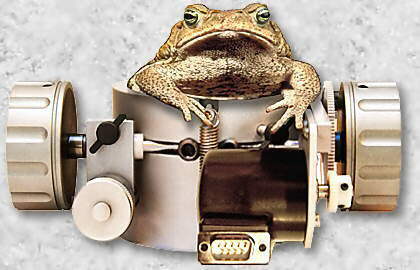 IMPORTANT NOTE: Simply plug the Seletek multi-device controller into the DB9 motor jack, pre-installed on TOADLOADER, ZEROTATOR and SPIDER stepper motors, and you're operational. This universal Seletek controller can also drive other stepper motors (i.e. Robo-Focus, Moonlite, Feather Touch, etc.). Two-device Armadillo controller pictured above left. 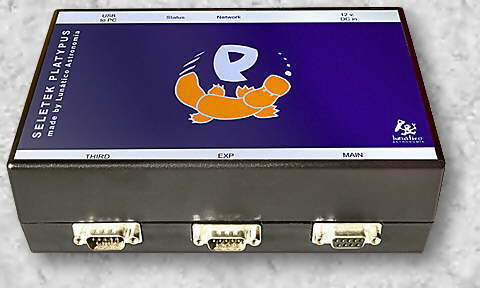 Three-device Platypus controller pictured above right. This controller must be purchased separately from LA. For those of you who are skeptical about purchasing internationally, let me set your worries to rest. As you know, it has been a world wide economy for many years, so ordering locally, or halfway around the world, delivers the same fast and secure results. Your orders from Lunatic Astronomical (LA), located in Madrid, Spain, are shipped immediately by air and shipping is FREE* anywhere in the world. They have secure on-line ordering and accept all major credit cards, so your purchase is always protected. LA's customer service, before and after the sale, is as good as VSI. To reiterate, VSI orders motors, direct from LA, and installs them on our products. Then, you purchase what you need to drive the motor from LA. Why doesn't VSI offer the (above pictured) Seletek controllers and cables? Because LA offers many options, from basic focus control to "whole observatory" controllers, so it is simply better that you order exactly what you need directly from LA. Also, VSI is not a dealer/middleman for other people's products. 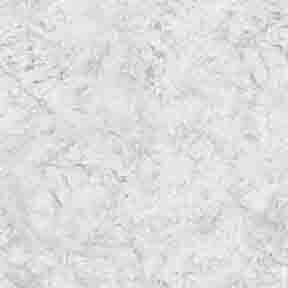 VSI only offers [major] products manufactured by VSI. 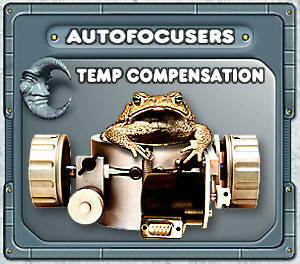 *No other autofocuser on the market has this extreme ratio of reduction.